In case you don't have a television, radio, access to a printed publication or the ability to converse with a breathing human being, you probably know the passing of Michael Jackson. The King of Pop died on Thursday in Los Angeles after suffering a cardiac arrest. As many of you have felt, this was a complete shock and very hard to take in as a fan of music. His contributions to music as a solo artist and as part of the Jackson 5 have been unsurpassed. 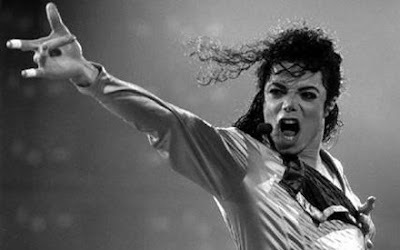 As discussing with some friends last night, we decided that it is impossible to find someone who doesn't like at least one Michael Jackson song. Impossible. Even at the last night's Celebrate Brooklyn show, the Icelandic siren Olof Arnalds covered Jackson's "Billie Jean" in the most articulate way...acoustically. It was very surreal to hear it in such a way but was much appreciated by the crowd. Even electro's Boys Noize offered a couple Michael Jackson tracks in his set last night at the Electric Daisy Carnival in Los Angeles. Saying that MJ will be missed a gross understatement. He was an icon and his legacy will live forever. As mentioned earlier, I attended Celebrate Brooklyn's free concert that showcased Iceland's Olof Arnald and New York's own Blonde Redhead. Upon arriving to Brooklyn's Prospect Park, the weather was not in our favor. Literally, the random thunderstorm met us at the park and didn't let up for a good half hour. Fearing the show's cancellation for the majority of the rain storm, the good people at the venue finally let in the soaked crowd. I was quite pleased with Arnald's set as she casually conversed with the crowd, even interrupting her own songs to say sweet nothings sporadically. Indeed, the highlight of the night was the Michael Jackson cover; it just stood out. When Blonde Redhead took the stage, they were received with a appreciative applause. As being a local group, the New York faithful were most gracious the band and staff did not cancel the show. The band was not near as vocal as Arnald but kept the crowd entertained with their library of music. They played a vibrant set, despite the lousy weather; the sky beaming with the occasional lightning strike. Overall, was a good night.